Defender (This creature can't attack.) 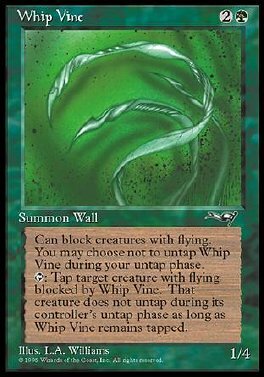 Whip Vine can block as though it had flying. You may choose not to untap Whip Vine during your untap step. T Tap target creature with flying blocked by Whip Vine. As long as Whip Vine remains tapped, that creature doesn't untap during its controller's untap step.